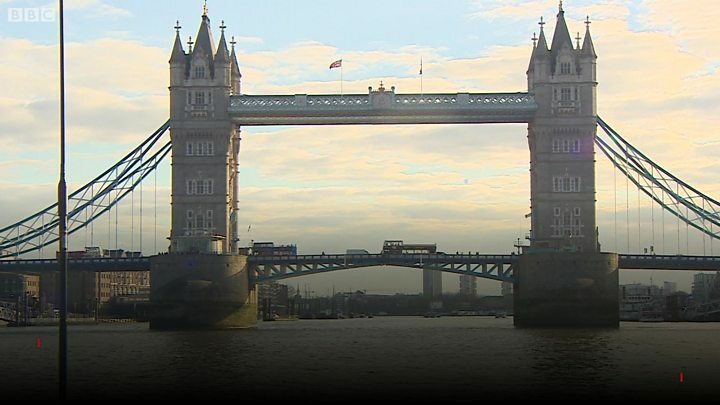 London's iconic Tower Bridge is set to be closed to vehicles for three months for structural repairs. The 122-year-old landmark will be closed from October to allow for maintenance work to be carried out, City of London Corporation has said. It is used by about 21,000 vehicles every day but has gone "without significant engineering works" for 35 years. TfL said it would work with partners to minimise the impact on traffic. The closure will allow for waterproofing of the archways in the approach to the bridge, which were last worked on when they were built at the end of the 19th century. Other work will include replacing the Victorian bridge's timber decking - which was last refurbished in the 1970s - and resurfacing the road and walkways. AA president Edmund King claimed drivers who have been frustrated by congestion during the introduction of new cycle lanes in recent years will suffer more misery. "Just when traffic will have got back to normal following the disruption caused by the Cycle Superhighways construction, London drivers will be hit by another dead end," he said. Chris Hayward, chairman of the planning and transport committee of City of London Corporation, said: "This decision to close Tower Bridge to vehicles has not been taken lightly. "We will use this time to repair, refurbish and upgrade London's most iconic bridge, which has gone without significant engineering works for more than 35 years. "We will work hard to minimise disruption." Nearby Tooley Street is already closed eastbound until 2018 to allow Network Rail's rebuilding of London Bridge railway station. The bridge opens for river traffic at 24 hours' notice around 1,000 times a year. Pedestrians will still be able to cross the bridge on all but three weekends of the work. The viewing gallery along the walkways of the bridge will also remain open.